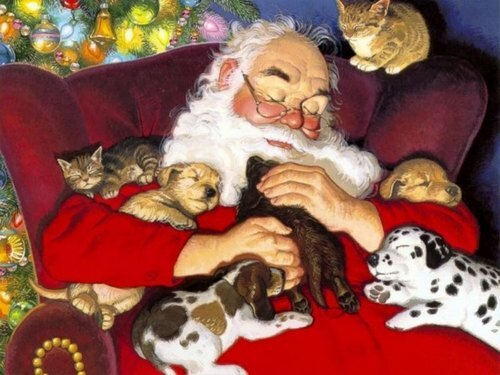 Santa with cachorrinhos and gatinhos. . HD Wallpaper and background images in the natal club. This natal wallpaper might contain gato, gato verdadeiro, gato gato, and gato de verdade.